Shop by your favorite design! Available in shirts, mugs, mousepads, flags, and more! Choose your family affiliation on a custom product. Custom printed for you. Got a recruit in boot camp? San Diego or Parris Island you're covered! Give a gift of troop support this holiday season: Make a donation to an outreach program in your recipients name. Donate now by adding the $10 donation to your cart (scroll below). Your receipt will be noted as a donation. To increase the amount you donate, change the quantity in your cart; each quantity of 1 is a $10 donation. As an example, a $50 donation would be a quantity of 5. MarineParents.com, Inc. is an IRS approved 501(c)(3) public charity. Support our Marines and their families at home! Donations to the General Operating Fund at MarineParents.com, Inc. are used for the direct support of each outreach program and free services provided by the organization to the Marines and their families at home. Expenses include but are not limited to server fees for websites, printed publications, rent and utitilities for operation of the corporate office, and salaries for paid staff. 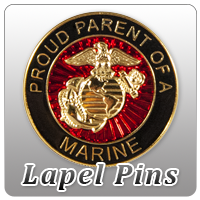 To learn more about MarineParents.com, Inc. and our Outreach Probrams, visit the website www.MarineParents.com.